(28z) - Assorted vintage rulers with great advertising from Barrie, Orillia, Toronto and beyond. 20 in total. 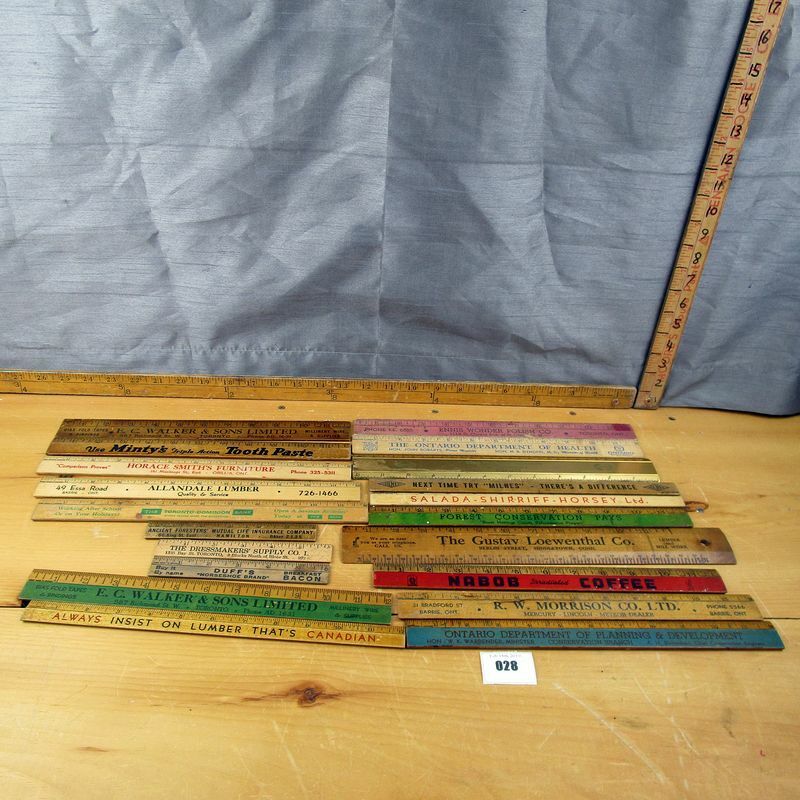 **Lot Details: (28z) - Assorted vintage rulers with great advertising from Barrie, Orillia, Toronto and beyond. 20 in total.